Train your teens to relationally share their faith and see their faith grow! Do you ever feel like you need a breakthrough in your youth ministry? Building a youth ministry can be incredibly frustrating. You got into ministry to see teens reached for Christ, but those dreams got lost somewhere in the daily process of “doing” ministry. To top it off, parents, church members, and senior pastors all have different expectations about what you should be doing. No wonder so many youth leaders burnout in their first two years. Dare 2 Share has more than 25 years of experience training students and youth leaders on how to share their faith and build a Gospel Advancing Ministry. At Dare 2 Share, we've got you covered with everything from FREE youth pastor resources, to FREE apps to help your teens to share their faith. Browse some of our top resources and content below and take your youth group to the next level! 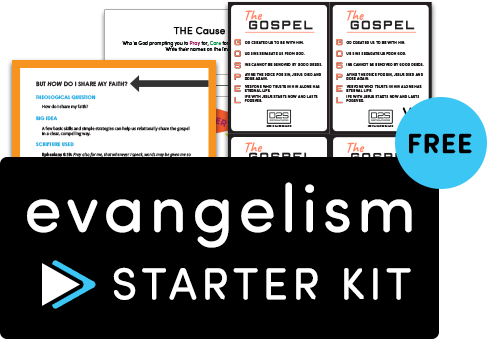 At Dare 2 Share, we have an amazing lineup of resources for you to activate your group in evangelism. 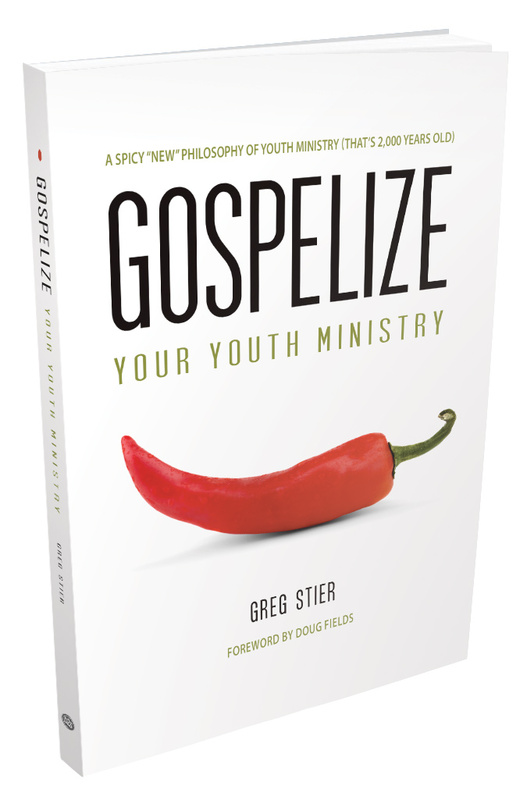 Popular youth ministry books including ones by Dare 2 Share's very own founder, Greg Stier! Teens need quality faith resources. We've got everything from apps to sites that will get your teens energized and mobilized to spread the good news! At D2S, we've built out years of great content geared at deepening teenagers’ faith and equipping them to share it. It's a philosophy that's changing the world of youth ministry. Learn how to become a gospel advancing youth ministry that thrives! Most people who trust Christ do so before they turn 18. Learn what Dare 2 Share is doing to reach all 25 million teenagers in the United States and join our efforts to share the gospel with this generation and turn our nation back to Jesus. An urban youth ministry mission trip like you’ve never experienced. Join us in 2019 for LTC! A national, live, multi-site training and outreach event designed to spark a movement of Gospel conversations. Download our FREE APP to get started training your teenagers to share the Gospel and make disciples who make disciples! Get the training and faith-sharing tools that will help your teens share Jesus’ message of grace with their friends in their own unique, compelling way. After your youth group has downloaded and enjoyed the content, they can share it with your friends via Twitter, Facebook, or email. When teenagers evangelize their friends your youth ministry will grow! Learn how to create a deep and wide youth ministry with one of our FREE ebook resources. 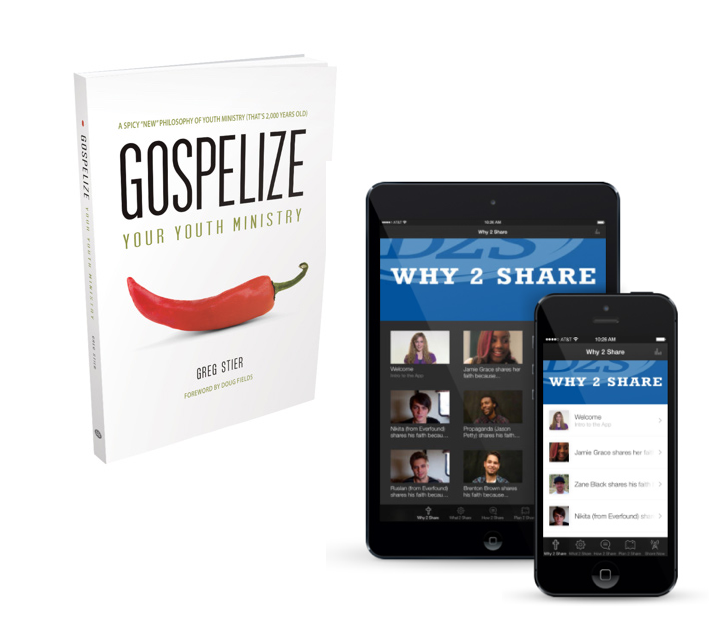 Youth leader resources that inspire and equip teens to share their faith. At Dare 2 Share, we have an amazing lineup of resources for your group to activate Gospel-sharing, empowered teen leaders that will change the world. From youth group curriculum to youth leader training to Christian clothing, we’ve got you covered with the best youth ministry resources on the planet! Stories, articles, practical tips and more. All geared at helping you take your youth ministry to the next level! As a youth leader, you stand up and pray on behalf of your students every single week. You work hard to encourage, exhort, and train them to be leaders in their school and community. Don’t lose hope. Energize and mobilize your teens to advance the gospel to their world and multiply disciples! For 25 years, Dare 2 Share has led large-scale, high-impact conferences. We've taken all of these and repackaged them to launch our brand new event series, Event in a Box. 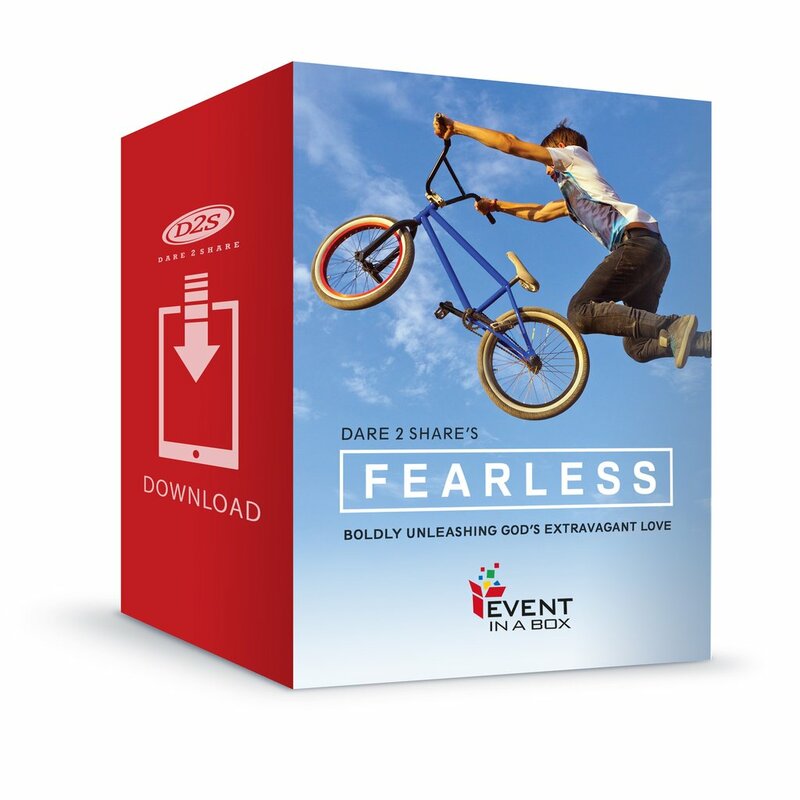 Check out our exclusive Fearless series that includes resources, training, and more! Has your youth ministry felt a bit bland lately? It's time to spice it up with the gospel and recapture the joy, excitement, and transformation you've been longing to see—and that Jesus promised! Greg Stier unpacks the model found in the book of Acts, unveiling the seven key ingredients present within the early church, and shows how you can blend them together today to create a gospelized youth ministry that results in dynamic Kingdom growth. 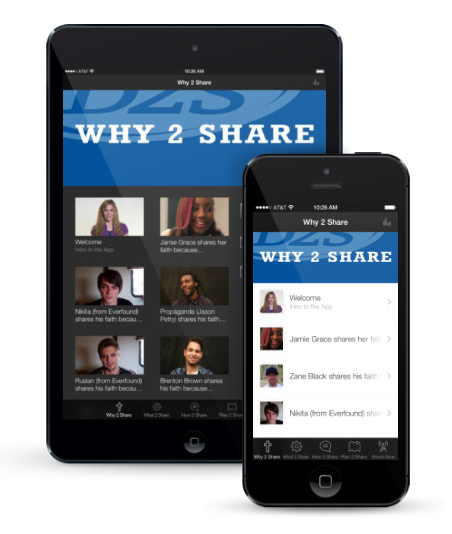 Dare 2 Share is your premier source for building a gospel advancing, disciple-multiplying youth ministry! We produce quality resources that help mobilize and equip teenagers to share the Good News of Jesus Christ.